Jeanette Wall of The Miscreant offers her personal guide to making mixes. The official definition of 'miscreant' is "a person who behaves badly or in a way that breaks the law". 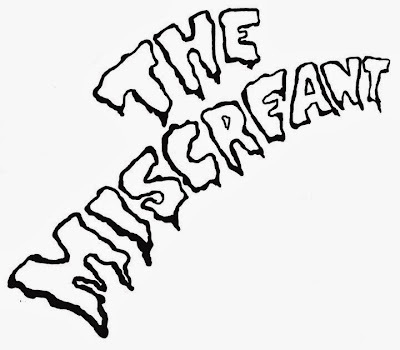 But when I hear the word 'miscreant', I'm more likely to the think of the music fanzine run by Jeanette Wall that I've been quietly admiring since the beginning of 2013. Before I had even met Jeanette, I was already in awe of how much she could accomplish by herself. By the time Jeanette had graduated from Syracuse University, she had already put out numerous issues of The Miscreant with bands like QUARTERBACKS, Veronica Falls, and Magic Milk among many others gracing the cover. In addition to the zine, she also started her own label under the same name that has put out a handful of cassettes and 7"s. Oh, and she also started a video series called "Sad Kids Club" that interviews various music-related people about other artists/bands that were influential to them. Jeanette is obviously a musical powerhouse and she made me feel slightly regretful for spending so much time watching Netflix in my bed. But when I finally met Jeanette over CMJ, it was only a matter of time before we were texting each other about which My So-Called Life character we were. Jeanette was kind enough to make us a Monday Mix and offer us her rules on her perfect road tripping mix on which you can find both Cyndi Lauper and All Girl Summer Fun Band. "All right, I don’t have eight rules exactly. But having watched High Fidelity, I took to mix making pretty early on. I made mixes for walking to my friend Nancy’s house in the next neighborhood over, and I made mixes for going to and from bass guitar lessons. Lo, any mix I made for myself while growing up was made with a journey in mind; be it made for meandering around my Indiana subdivision or in my mom’s Avalon. Sure, it wasn’t always easy. You’ve got many things to consider. I mean, like Rob Gordon said, “The making of a great compilation tape, like breaking up, is hard to do and takes ages longer than it might seem.” Where are you going? How long will you be gone? Who’s going with you? If my mom’s in the car, you better have a Gin Blossoms’ song ready to go. Think about all those scenes in Wayne’s World where they’re in the car driving somewhere in the day, then two scenes later they’re driving back home at night. I think that happens like one or two times. You have to think about that sort of thing. It’s not always easy to foresee moods and settings and the like. I make it a rule to allow the sun to set midway through a mix. I put a few slower songs on there. Make sure you have songs you know all the words to – that’s very important. And if you can’t decide if you should close with a Cranberries song or a Cyndi Lauper song, put them both on there." The Miscreant from thelesigh on 8tracks Radio.